Hey there peeps! We are excited to introduce one of our reading selections for #JuneReads, Long Hidden: Speculative Fiction from the Margins of History (publ. Crossed Genres) edited by Rose Fox and Daniel Josè Older! We are delighted to announce Rose Fox and Daniel Jose Older, will be our chat guests during our LIVE Twitter discussion for Long Hidden, Sunday, July 6th at 4:00pm EST! 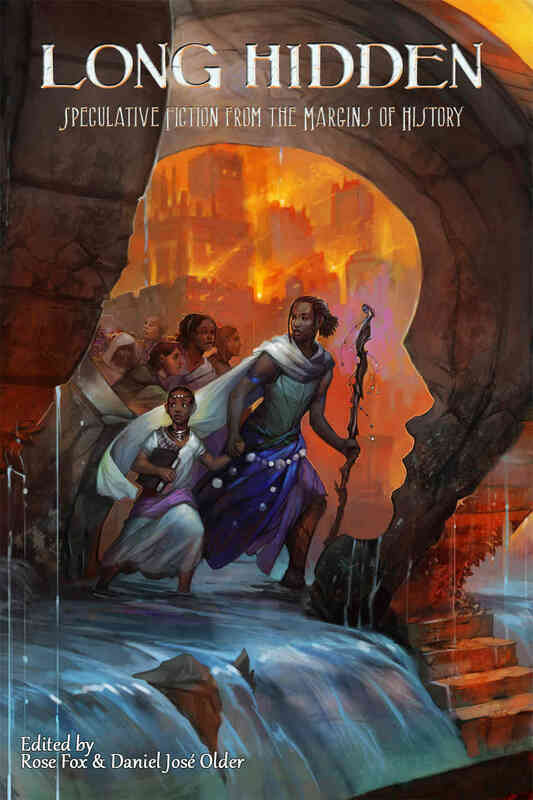 Long Hidden is an anthology featuring 27 speculative fiction stories from authors including Tananarive Due, Nnedi Okorafor, Ken Liu, Lisa Bolekaja, and Sofia Samatar. In addition, the stories feature some amazing art illustrations all made possible after the success of the anthology’s Kickstarter project. On Sunday, July 6th at 4:00pm EST use the Twitter hashtag: #blerdbookclub to join in the discussion of Long Hidden with our readers and chat guests. If you can’t make the discussion, post your questions for our guests in the comments below and we’ll include them in the live Twitter chat discussion. Our Twitter discussion will be curated via Storify. To read more about Long Hidden, its contributing authors and illustrators, and how the project came together, visit Long Hidden’s website and check out Black Girl Nerds’ podcast interview with editors Rose and Daniel on Blog Talk Radio.